This week is pretty simple…some days you just wake up and you have coffee and donuts on the brain. That’s what happened to us. 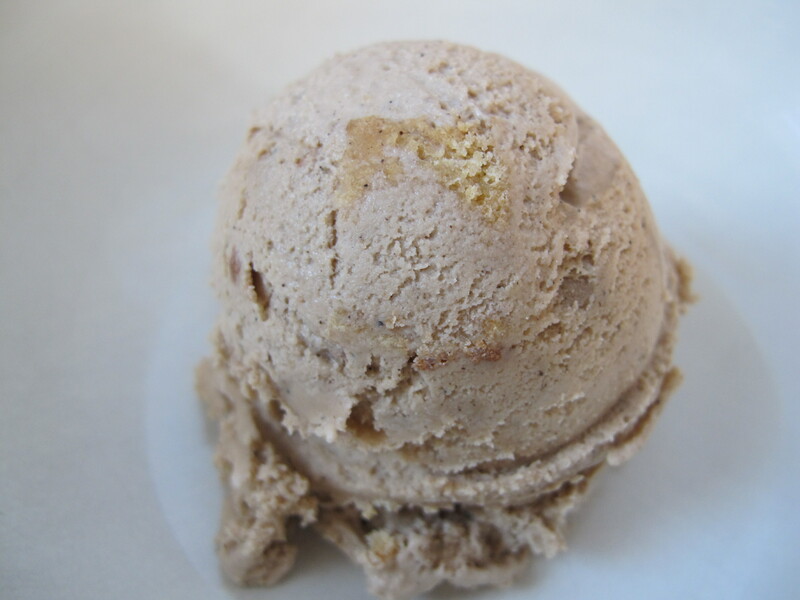 So naturally we thought this would make a great ice cream flavor, and you know, we were right. Let’s get started with this week’s flavor – Coffee and Doughnuts. 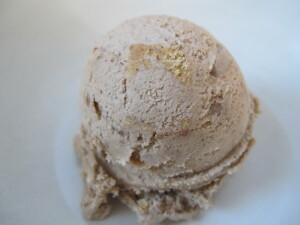 For the ice cream, we decided to go with a coffee infused ice cream base. These are Guatemalan Dark beans from one of our great local roasters in Minneapolis, Peace Coffee. The beans get course ground and are added into the base before we heat pasteurize it. Once the ice cream base is brought up to temperature, the grounds are steeped for a few minutes, then strained out with a fine mesh strainer. The base is then cooled and is ready for the churn. For the donuts, sometimes when you have them on the brain, you have to go with an old favorite. Cake doughnut from A Baker’s Wife in South Minneapolis. These! These are perfection! Crispy outside. Light and airy inside. Come on. To get the doughnuts into the ice cream, we’re making croutons. Diced, tossed with a little butter, and then into a low oven to toast lightly. 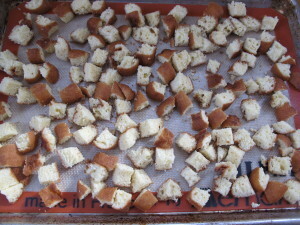 The croutons are cooled and get tossed into the coffee ice cream prior to packaging. Simple, but amazing! Peace Coffee infused ice cream with chunkers of locally made donuts from A Baker’s Wife. Let’s get this out of our brain and into our mouth. 1. Prepare the doughnut croutons: Preheat the oven to 325 degrees. Line a baking sheet with a silpat or parchment paper. 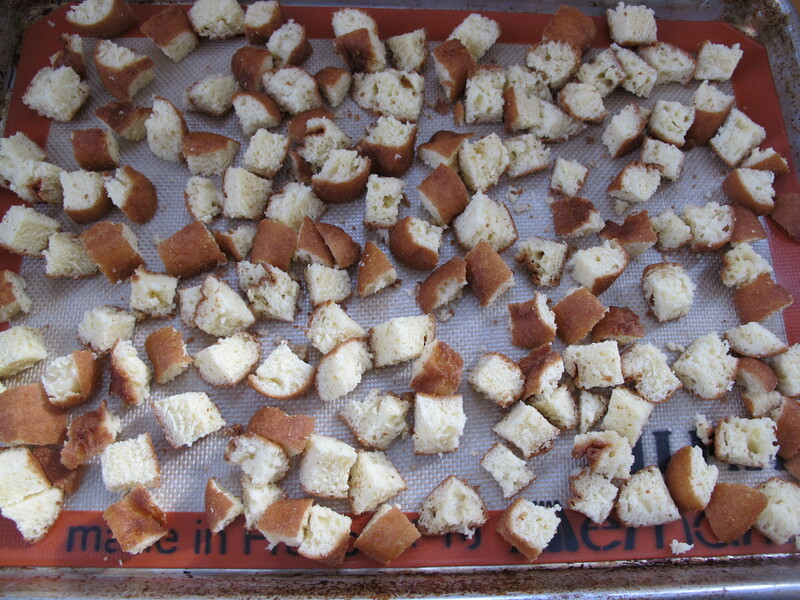 Dice the donuts into 3/4 inch cubes and toss with melted butter. 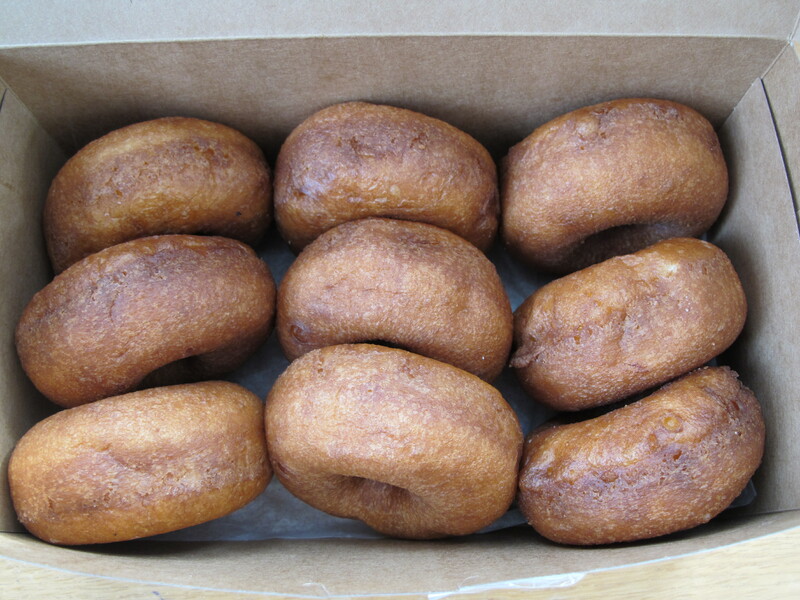 Spread doughnut cubes out evenly on lined sheet sheet so that none are touching each other. Bake for approx. 30 minutes. The cubes should be slightly golden brown. Remove from the oven, cool, place in air tight container, and freezer until ready to use. 2. Prepare the coffee ice cream: Crack eggs into a mixing bowl and whisk fully. Add sugar and whisk until sugar and eggs are combined. Add cream, milk, coffee and salt and whisk again until all are fully incorporated. Place ice cream base in a pot over medium heat, stirring continuously. Continue to heat mixture until temperature reaches 165 degrees. 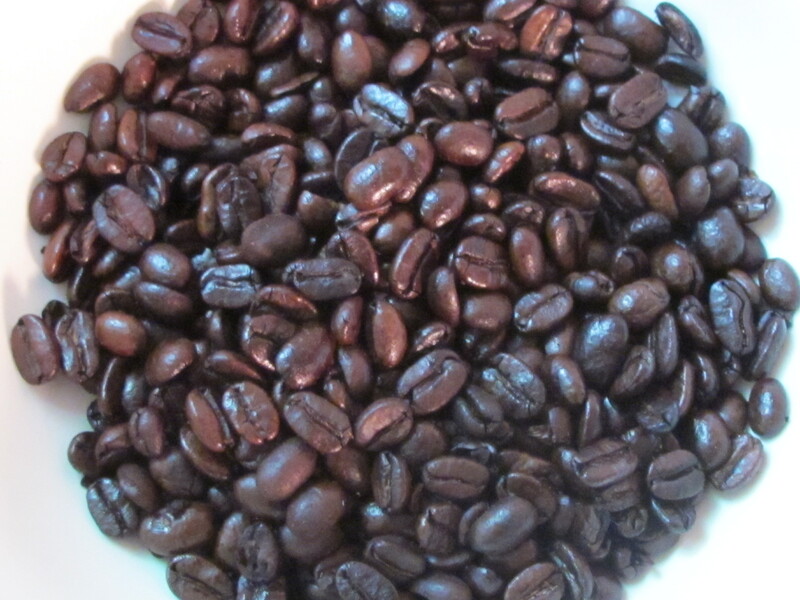 Remove from heat and allow coffee to steep for about 5 minutes. 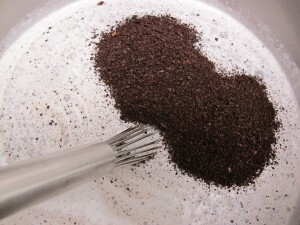 Strain coffee grounds out with a fine mesh strainer. Cool the strained ice cream base to room temperature (an ice bath will do this in about 15-20 minutes) and then place in a container, cover, and chill in refrigerator overnight. 3. Churn ice cream base in ice cream machine according to manufacturer’s instructions. 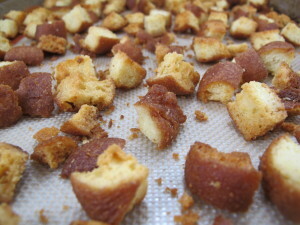 Place coffee ice cream into container and stir in 1 cup of doughnut croutons. Freeze in a tightly covered container for at least 4 hours, preferably overnight if you can wait. Then, enjoy! If you’d rather not make it, you can be one of two lucky winners of this fabulous, scratch made craft ice cream in our weekly pint giveaway. Enter your name in the comments section here, or on our facebook page under the posted contest. Two winners will be drawn randomly on Friday 2/27/15 at 4pm. Winners must be able to pick up locally in Minneapolis. Prizes must be claimed by email within one week or we will redistribute. 🙂 Good luck! My two favorite local spots! A Baker’s Wife and Peace coffee…and my favorite flavor of ice cream! I MUST win this pint!!!!! OMG I’m pretty sure the Universe put this ice cream recipe in your hands so that I could first win, then immediately consume it. These are my 2 favorite things. Pick me, oh pretty please! I wish it to magically appear in my freezer. This looks awesome! I hope to try it. Also I hope I’m chosen for the contest! Nice pairing of an old fashioned breakfast! This would be nice to try and then drop off at my local Police Station to share! 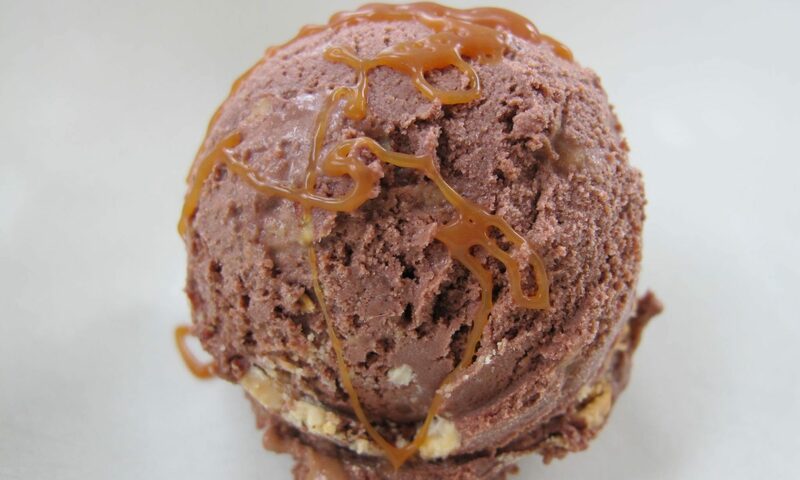 Even though it’s currently only seven degrees outside, this ice cream sounds amazing! thank you… just… thank you. Just like after Mass. Holy ice cream!